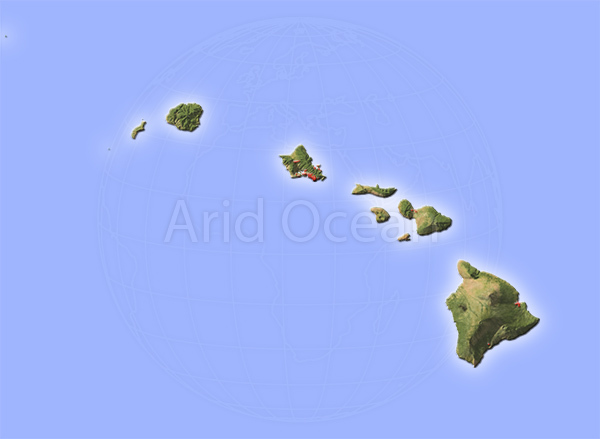 Hawaii Archipelago, shaded relief map. 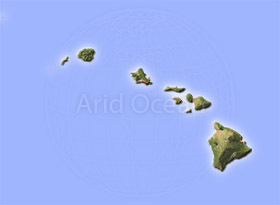 Hawaii archipelago, shaded relief map. Colored according to natural appearance, with major urban areas.